‘Memory Card’, 2011. 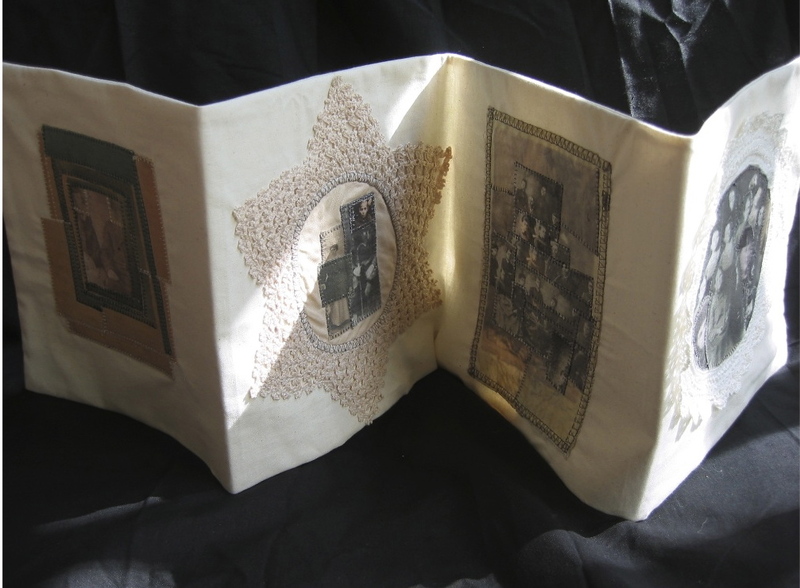 Inkjet print on cotton, recycled lace doyleys,collage,applique,machine stitched,canvas support. Published February 20, 2014 at 1007 × 740 in Ancestor Works 2011.